Out of curiosity, what will the paint kit for the A330 look like? 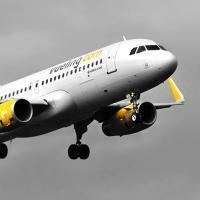 Will it be like the A320 ones or is it going to be similar to something like PMDG's or QualityWings? If you like the paintkit different let us know. With over 1300 repaints on our own server we think it sort of works but we can always do better. The biggest request I've seen people have is a master template. It makes the livery painting easier and a little simpler. With the current A320 family paint kits, it requires constant checking and verification that text or other livery elements match up, which can be time consuming if you don't have it right on the first or second try. A master template will almost eliminate the need for alignment checking (almost because there will always be some elements that need to be checked for alignment). On top of that... all the functions in the B717 EFB are done on MCDU #3. Hello! Did you concider an A340, I mean it's pretty much the same as the A330 but with 4 engines if not then what is your future aircraft plans? We are at this moment looking at what our devs will be working on mid next year, but nothing has been decided yet. We would honestly love to do an A350 (or an A380) but the information we need is simply not available. Airbus is highly protective of the manuals, does not allow them in PDF format etc, and will go after people who have them. When we see a way out of that problem we'll reconsider. Hang on a sec... If Airbus isn't letting you use the manuals, how do you get the A320 family to be licensed by them? Obtaining a license to use the name is not the same as getting proprietary technical information, N'est-ce Pas? That's a sales license that Dovetails has with Lockheed. Nothing related to our developments and only covering the versions we sell on Steam. You know, the 330 will use a lot code of the 320s? In fact it is 95% the same. Just as Airbus does we use one base code and config files to make it fit the aircraft. The current A320 already has a lot of the A330 code in it! Could you implement a function that the Airbus start whit the same windows as i have closed it the last time. I have 3 monitors. The first for the simulator the second for the overhead panel and the third for the option mcdu and the FO mcdu. I had everytime to open the option mcdu, the FO mcdu and a new window with the overhead panel. Every panel i had to undock, put it to the other Monitors and change the size. Thats very annoying with the A318/319/320/321. Easy. Just save a flight (P3D) in the panel state you want to start the next time with those windows opened. I would say that it works with undocked windows too. One thing to also notice is that the RW A330 does not have a build in (class 3) EFB like the B788,748. Any rendition of an A330 EFB would therefor be a tablet. As most people already have one at home it would be very realistic to use that one. This has been already discussed and the answer is no. It has the 3rd MCDU which has similar functions. We are looking again at a EFB. It's however damned hard to keep the product in the same price range then. OK, thanks for this detailed Explantation. So that means an EFB is in no way directly connected to the aircraft's systems? And pilots always still enter the final calculations by hand? Of course this depends on what kind of EFB you have, for the A320 and A330 where there are no class 3 EFB's available you are absolutely right, all entries have to be done manually. Even for aircraft where there are such EFB's available some companies still decide to not use the EFB available from the manuafacturer, for example Lufthansa does not use Boeings EFB in the 747-8, but they use their own one to keep commonality with their other types. My airline also uses an iPad which obviously means we have to enter everything ourselves. no, but PMDG has its own cockpit camera shake functionality.. i was referring to that.. the default P3D dynamic head movement is not very good i hear.. In real life you would simply not notice any such shaking. On cameras you do, but did you ever notice your "picture" of your eyes shake when driving a car? I at least never conciously did, not in my car and not in an airplane. If at all sometimes the panel (especially the FCU vibrates a bit, but that's a different thing than the head shaking. The human brain is very good in creating a stable picture in front of your eyes, even when there is a bit of vibration. do we have any further news on the SP1 release and subsequently the use of the CFD ? Please post into the proper forum and not into the A330 preview topic. Thank you. Im curious to know if allowed, what are the fundamental differences and challenges to the A330 in coding if the core foundation rests on the previous A318-A321 series? Its mentioned that they are very similar in systems, with the obvious difference being a different flight dynamic size and weights. But there must be alot more to it than that to have the projected release many months after the previous models. The exterior model looks quite progressive as does the previous previews of the VC also looked well underway. So the A330 must have something in particular that is a great challenge to overcome. Some pages of the SD are very different. So new coding required. ELEC is splitted into AC and DC page. Fuel system is complete different with trim tanks in the horizontal stabilizer. That fuel pumping back and forth need to be modeled. Different HYD-System...etc. ND, EW/D, PFD and FMS is almost the same. Only small differences. But we want first redo ND and PFD for the smaller ones in SP1 and then use it in the 330. 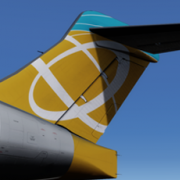 Time for a small friday update: Works on the A330 continue and I am currently doing addtional liveries. The first one is the first A330 with the new Lufthansa paint, D-AIKO. Note that the works are still underway at this paint: Work is just done on the EMER DOOR3, which is much more narrow than on DragonAir aircrafts. oh yeah tahts so beautiful Steffan.. I couldn't find anything but are the final liveries already definedd? If yes will a Swiss livery come with the launch? Not yet, Will make a list end of this month. I am sure you are well into the development of this bird, and may not be in the position to add new features, but as a long haul aircraft, I would like to humbly put in a request for a "jump ahead/practice on approach" feature akin to that found on the QW787. that makes it so nice when trying to fit a transatlantic flight into my available simming time, and you don't have to deal with the various issues with time acceleration etc... Thanks for any consideration you may give to this. Gents, I have been deleting livery requests for the past few days. I have also noticed that some get even more creative in asking for a livery by sugarcoating the post with fluff. If you want to know which liveries will be in the release package just scroll up 5, FIVE, posts from this one. If you have a request for a livery we have a seperate topic for that. - When will it be released? Not anytime soon. - Which liveries will be in the release version? Not decided. - What variants will be released? Only the vanilla A330-300 with RR engines for now. - Will an 32 bit version be available? Not decided yet. That one is easy to answer. The person responsible for that has no jobs to do for the A320 product at the moment. Having an outside 3d model with liveries is a separate development from the AP/FBW/systems side of things. You do not need the one for the other.